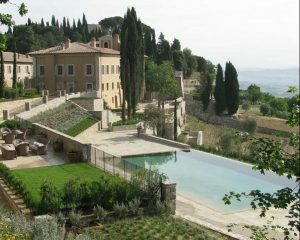 Thinking about our Tuscan Culinary Adventure gets us inspired about romantic Italian getaways. What better destination is there to indulge in some of the world’s most exceptional wines, farm-fresh meals and incomparable country sights? Sounds like honeymoon material to us! Here are a few properties we think would make for an unreal holiday for newlyweds. Guests of Florence’s renown Casa Guidi get a historic vacation experience, staying at one of the city’s most romantic house museums once lived in by poets Robert and Elizabeth Browning. 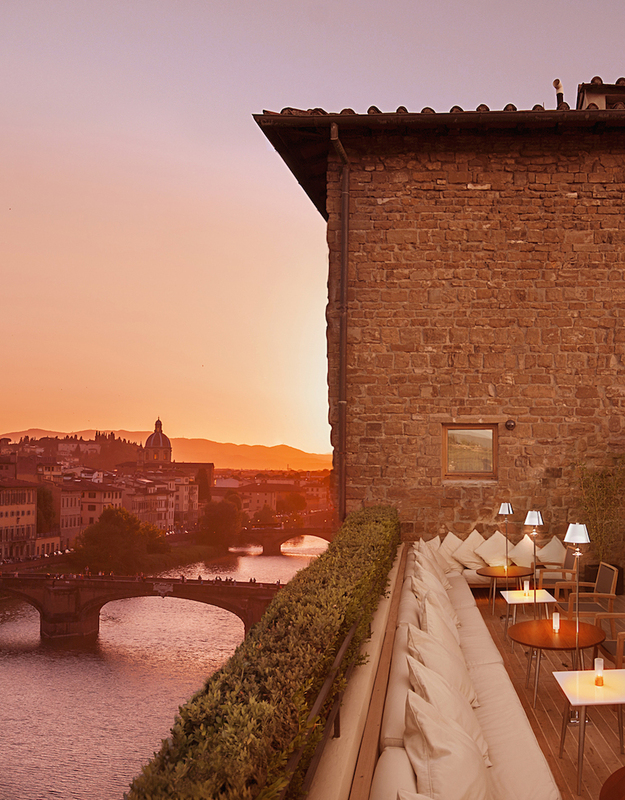 While the 15th century space oozes old world charm with its antique decor and cavernous museum-like space, guests can also liven things up by venturing to the nearby live music lounges and exceptional trattorias that are plenty in the heart of Firenze. 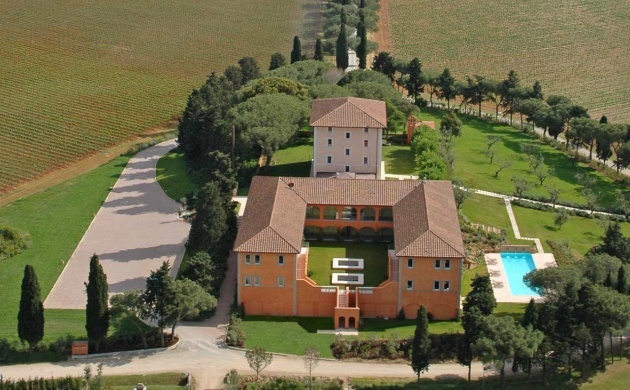 If a history-rich honeymoon isn’t your speed, perhaps the tranquility of a rural Medinci villa is more appealing. 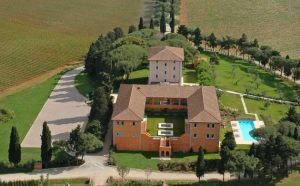 Cozy and luxurious, this country hunting house tucked away in the rolling hills of Maremma offers guests a super relaxing hideaway far from the bustle of city life. Unique amenities include indoor and outdoor pools, mountain biking, cooking classes and of course high end spa treatments. This chic modern hotel (with one of the most incredible rooftop lounges in the city) is an excellent option for honeymooners who love a little glam with their romance. Located just steps away from the iconic Ponte Vecchio, the sights and ease of this place is unmatched. With a beautiful pool, impressive architecture and garden (not to mention the quality dining experiences), this is one scenic spot that will really set the mood! 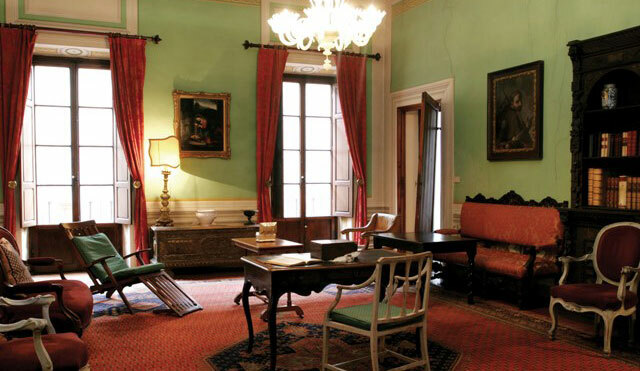 Also of note – like our first spot, Continentale is owned by the fabulous Ferragamo family as well! 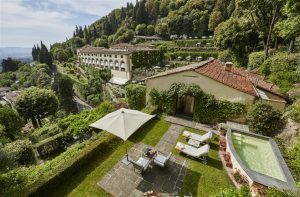 This former monastery has been turned into one of the most amazing boutique hotels outside of Florence. The historic facade, with original 15th century details, is said to have been designed by Michelangelo himself. Beyond the breathtaking views of the Arno Valley and surrounding whimsical woodlands, Belmond Villa San Michele is also an incredible culinary gem. The main restaurant, Loggia, proudly serves only regional cuisine, and the onsite Cookery School allows guests to partake in their own kitchen adventure. There’s no shortage of romantic (and delicious!) hideaways in the Italian countryside. The picturesque landscape is ripe for sumptuous experiences, which is why we’re so excited for our upcoming Tuscan Culinary Adventure happening October 2th – October 6th this fall! To book with us for this experience of a lifetime, contact our designated travel agent Clara Power at 416.996.6849 or cpower@tpi.ca. Tagged Arno Valley, Belmond Villa San Michele, Casa Guidi, chianti, Continentale, cooking classes, cooking school, countryside, farm-fresh, Ferragamo, Firenze, Florence, hideouts, honeymoon, L'andana, luxury, Maremma, Medinci, Michaelangelo, Montalcino, Ponte Vecchio, regional cuisine, romance, Rosewood Castiglio del Bosco, sights, spa treatments, trattoria, Tuscan, UNESCO. Bookmark the permalink.